Yoga Federation of India is likely to receive more funding to conduct its national championships as well as host international events. The Yoga Federation of India is likely to receive more funding to conduct its national championships as well as host international events. Very soon, athletes might start competing for a medal in yoga at multi-discipline events. The sports ministry on Monday recognized yoga as a sports discipline and placed it in the ‘priority’ category alongside disciplines like football, swimming, squash and chess, among others. 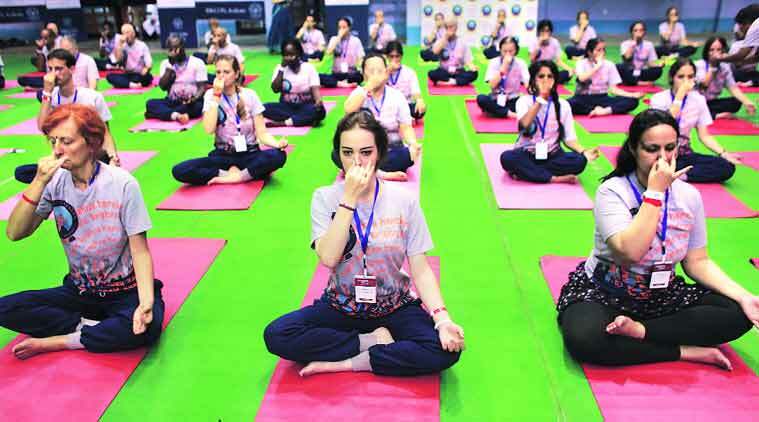 In continuation with the Narendra Modi government’s aggressive pitch to give yoga a global presence, the ministry feels making it a sport will go a long way in achieving their target. The Department of Personnel and Training (DoPT) had directed the sports ministry to incorporate yoga as a ‘sports’ event. Following the diktat, the files moved at an extraordinary pace and the recognition was made official after the ministry received a favourable response from Department of Ayurveda, Yoga & Naturopathy, Unani, Siddha and Homoeopathy (AYUSH). The ministry also decided to upgrade fencing from ‘others’ to ‘general’ category, based on the past performance in major international events. It has also been decided to place ‘University Sports’ in ‘priority’ category. The ministry reviewed the categorization of various sports disciplines on Monday and revised their categories and the scale of financial assistance. The Yoga Federation of India is likely to receive more funding to conduct its national championships as well as host international events in the country. Interestingly, the ministry criteria states that a sport should be a part of the Olympics, Asian or Commonwealth Games to receive a ‘priority’ status, apart from the fact that the country should be competitive globally in it. Yoga, however, is one of the exceptions. Sources suggested yoga can also be included in the National Games, with a long-term plan to include it in the continental events. “Yoga as a sport can create plenty of jobs and even in terms of fitness, it will help to create awareness. Most of the sportspersons already practice yoga. So it’s logical to have it as a sport,” a ministry official said. It was also conveyed that ‘general’ category of sports disciplines shall be retained. Criteria for inclusion in this category and financial assistance to be provided will be separately issued. It was also decided by the sports ministry that disciplines included in the events like Olympics, Asian Games, Commonwealth Games and which have obtained a ranking up to eighth in individual events and up to 10th in team events in these events or their respective Asian and World Championships shall be placed in ‘general’ category. These sports will also receive financial assistance to conduct national championships and one international tournament in India per year.